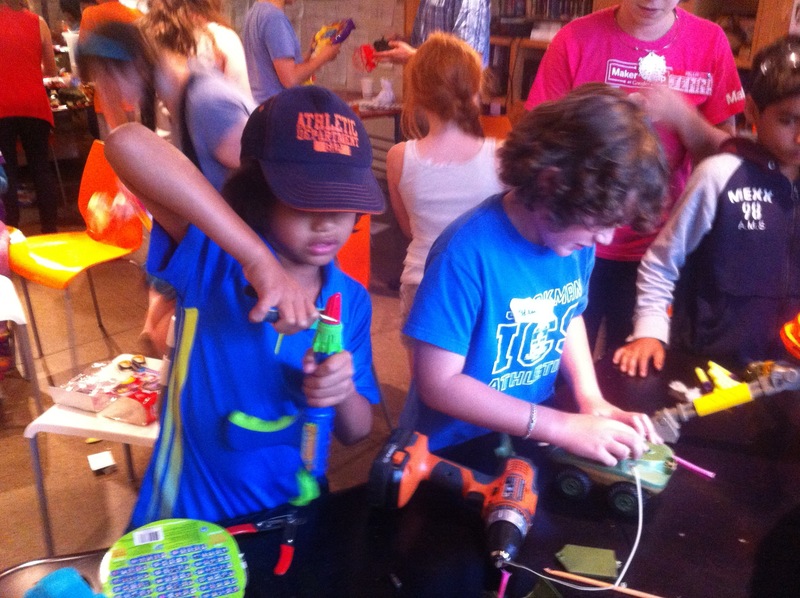 Last week, Story Planet partnered with Young Inventor Challenge and Maker Kids to offer our first Toy and Game Inventor Summer Camp. All week, 16 amazing campers created never-before-seen games and toys, like a full-size gumball pinball game and a board game complete with portals and secret keys! We loved having them here, and it was exciting to explore the Maker Kids space as well. Thanks so much to the fantastic companies who donated money, games, and time to make the camp a success.